Welcome to On​​e Central: an award-winning, Grade-A commercial development where life and business converge in one lively location. 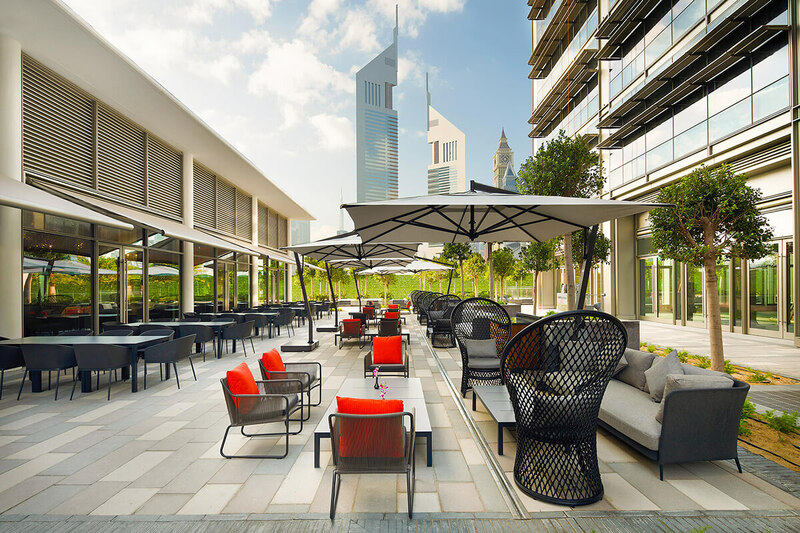 Set against the iconic skyline of Dubai’s Central Business District, One Central is strategically positioned at the crossroads of international trade, finance and business. When completed, this mixed-use master-planned development, its public spaces and smart amenities will offer a lively and distinctive sense of community. Tenants and guests alike will enjoy quick access to surrounding city landmarks, a range of dining options from casual cafés to haute cuisine, world-class facilities, a hip 25hours Hotel and co-working spaces. Twenty-four seven, three hundred and sixty-five, One Central is Always Business. One Central is located within a free zone governed by the Dubai World Trade Centre Authority. 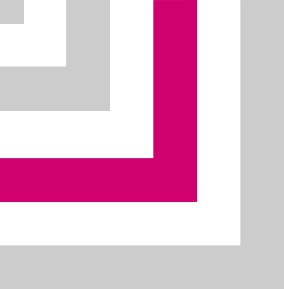 The Authority’s personalised approach to licensing and procedures makes setting up at One Central straightforward, seamless and flexible. Tenants will enjoy privileged benefits, including 100% foreign ownership, 100% repatriation of capital, tax exemptions and dual-licensing options. 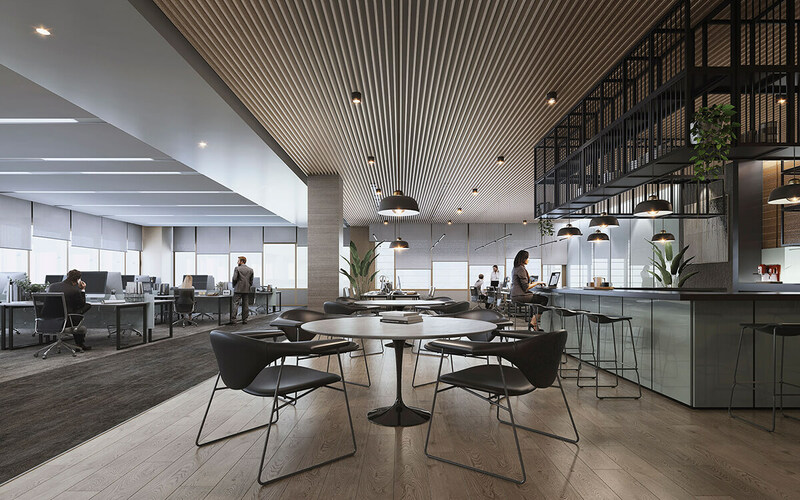 One Central’s five commercial buildings offer flexible office spaces infused with natural light. Each building is LEED Gold-certified for sustainability and provides a convenient selection of retail and F&B spaces on the ground floor. The Offices 1 is now fully leased, with tenant companies including multinational firms and industry leaders. The Offices 2, 3, 4 and 5 are accepting tenants. Guests don’t have to leave One Central to get a good night’s sleep. The Ibis One Central hotel is now open and allows business and leisure travellers to stay right where the action is. Construction is underway for a second property; a 25hours Hotel set to be the chain’s first outside Europe and its largest in the world. Each property is within walking distance from The Offices and their amenities on One Central’s pedestrian-friendly streets. One Central is a lively and cosmopolitan destination, its shaded boulevards dotted with restaurants, cafés and shops. Amenities like valet parking, hair salons, gyms and laundries will also be integrated throughout. Whatever tenants or guests need, One Central will have it on hand. The district is also welcoming restaurateurs and entrepreneurs to join the range of establishments already serving this fast-growing community. 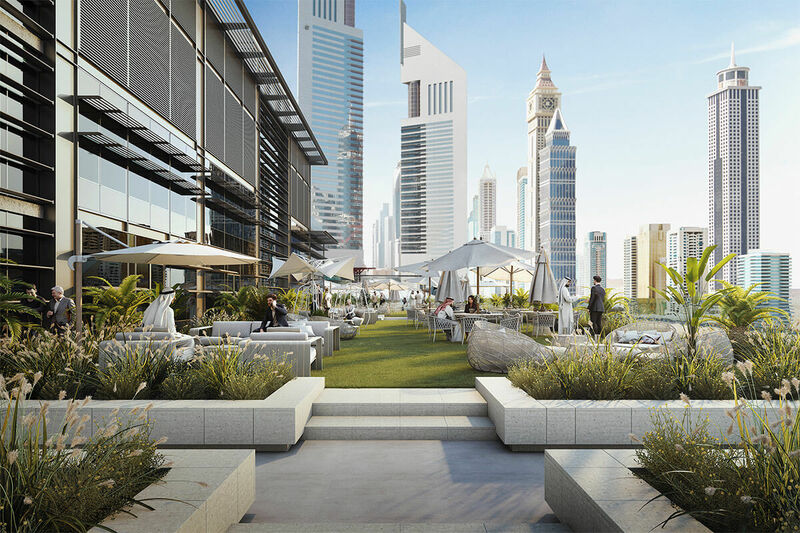 One Central is designed with open-air amenities to take advantage of Dubai's cooler months. 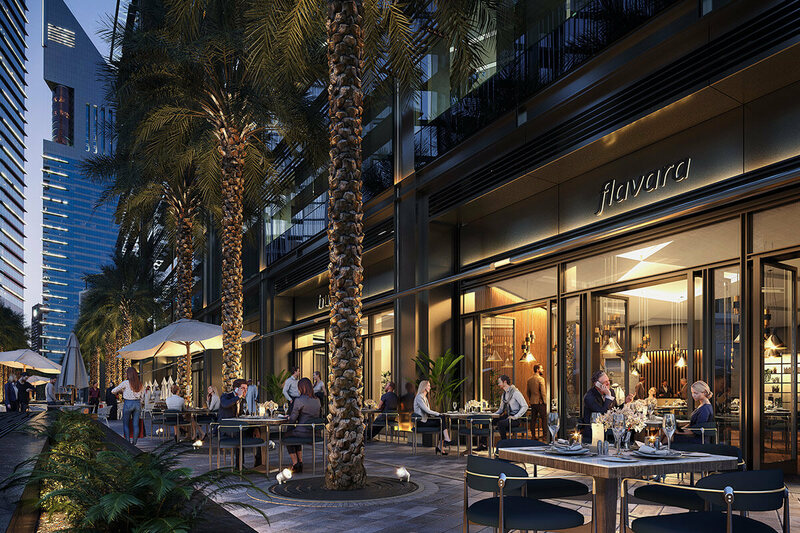 Select ground-floor spaces at The Offices will feature al fresco dinning and future plans include organising daytime markets and public gatherings that will keep One Central’s palm-lined streets engaging and lively. Additionally, One Central aims to add a weekend events schedule and live entertainment options to delight tenants and guests. In addition to its mixed-use and public spaces, One Central will feature a landscaped master plan that compliments the modern architecture. Several of The Offices feature terraces for tenants of select floors, and The Offices 3 also offers space for a terrace restaurant. At street level, tenants and guests can enjoy strolling the shaded, pedestrian-friendly boulevards. Dubai World Trade Centre has developed and managed transformative properties in Dubai for more than 40 years. From building the​ region’s first high-rise tower in 1979 to creating its largest integrated events venue, Dubai World Trade Centre has played a pivotal role in developing Dubai’s core business proposition and supporting its unparalleled growth and success. One Central continues this legacy, reinforcing Dubai World Trade Centre’s reputation for excellence in real estate development and facilities management. This landmark, multi-award-winning commercial development adds a unique dimension to Dubai’s Central Business District. One Central will also enhance Dubai’s status as a hub of international finance, trade and commerce. A mixed-use development, One Central will bring a sense of vitality, spectacle and engaging experiences to Dubai’s Central Business District. Located along Sheikh Zayed Road as part of the Dubai World Trade Centre complex, One Central will combine business and retail in a prime location. © DUBAI WORLD TRADE CENTRE. ALL RIGHTS RESERVED.